750 steps to Tivai beach in North Goa, Feel Welcome in our designer pool view rooms with balcony for a vacation of a lifetime. This resort has a multi cuisine restaurant which serves free breakfast, and a bar. Amenities include WIFI, bicycle rides, local jeep transfers, Go Pro cameras and pool games. Dedicated kids pool and play areas make it a perfect family destination. A swim in one of our outdoor pools will be a refreshing start to your break when you can capture underwater moments. 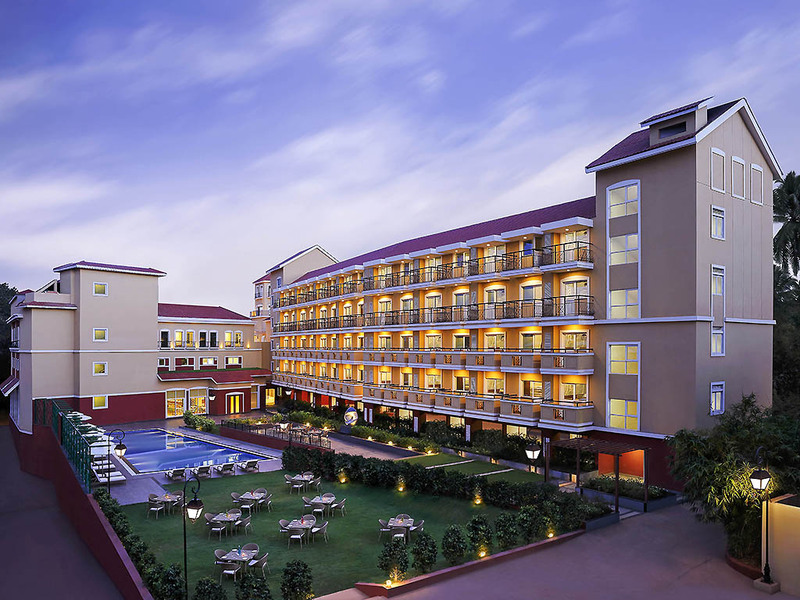 ibis Styles Goa is perfectly situated amidst the happening areas of Candolim. Our hotel is a short drive away from the breathtaking white sand beaches and popular night spots that are easily accessible from airport, railway station and bus stop. All ibis rooms come with comfortable beds, tea coffee maker, mini fridge, laptop compatible digital safe, 32" LED TV, digital air conditioning control, work desk, hair dryer and complimentary mineral water. All rooms come with a pool view. Located on lobby level, the bar offers an extensive wine list, creative cocktails, and tasty snacks. Perfect place to unwind with friends after a busy day.